Explosive Report! Do You Think Bath Bombs Are Safe? Bath bombs are a new craze to hit the cosmetic industry, and it all honesty there pretty amazing little bombs. They come in different flavours/fragrances and sizes too. Bath bombs are made of various dry ingredients and essential oils and once dropped in water release an explosion of colour and scent. Various aroma therapy bath bombs are available to, which mostly have soothing and healing properties plus the newest addition is having stuff like rings bursting out of them, when thrown into water. Here are a few things you need to know about bath bombs and who sale ring bath bombs. These facts will assist you to determine whether the bath bombs are really safe or not. Does a Bath Bomb Expire? Bath bombs don’t necessarily expire, however the longer you keep them, the less fizzy they will be when used. You can keep them wrapped up in boxes for months if you like but they won’t be as effective as when used fresh. What happens when you keep them for longer is it starts to oxidise and doesn’t react properly, as the citric acid and soda bicarbonate start binding. Most wholesale ring bath bombs manufacturers have a 20 day freshness policy, so keep this in mind when you buy them online as well. The smell eventually wear’s off to as the essential oils in them start to evaporate, so remember to use them well before the 20 day mark. How long should you leave it in the bath, before getting in? It normally takes about five minutes for a layered bath bomb to completely fizz out, leaving the water coloured and fragrant. It actually looks like you’re taking a bath in a rainbow. The first thing that happens is the centre starts to burst while the rest find a hole to propel out of. 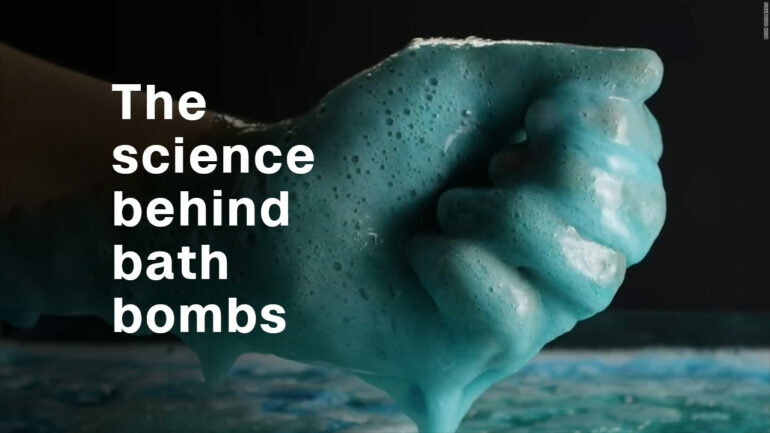 Every time you use a bath bomb the reaction is never the same and you’ll never have the same effect twice which is what makes every bath bomb so unique. The best thing to do is fill your bath tub up, throw it in and watch as the bath bomb completely fizzles out, before getting in. The bicarbonate soda and citric acid in these bombs is what makes them react and move across the water. But according to experts one mixture reacts faster than the other, so if you want to control the movement, it needs to be put together in a certain. Can you Wash your hair once the Bath Bomb is in? The bath bomb won’t have a negative effect on your hair, however keep in mind that the ingredients like citric acid and essential oils are softening so it will have a different reaction on your scalp. The mix in it isn’t bad for your hair, but it will feel slightly different. Can you use a Bath Bomb if you have Sensitive Skin? Most Bath Bombs are mild on the skin but if you have extremely sensitive skin them avoid using the layered bombs that have a variety of mixes in them. The basic bath bomb formula doesn’t have surfactant in it, so it can’t irritate your skin, but once the bubble mix is added it can cause slight irritation. So stick to the basic Bath Bomb and always remember to read the label well before buying one! Best Probiotics For Infants and Babies, Are They Really Safe?